Title: THE POWER OF THE PRESENCE OF GOD. Sixth Edition. 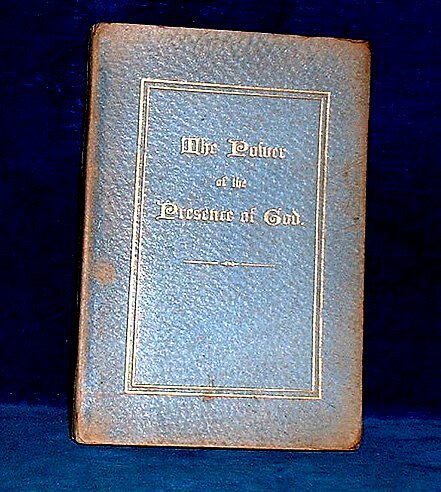 By the author of “Prayers and Responses for the Household” and "Short Readings for the Christian Year". Description: London, Skeffington & Son 6th edition 1894 . Small octavo (in 4's) gilt pale blue embossed boards (tips worn some dark spots, damage to head & foot of spine) 95p + book reviews. Some foxing and lacks front endpapers but clean and tight.